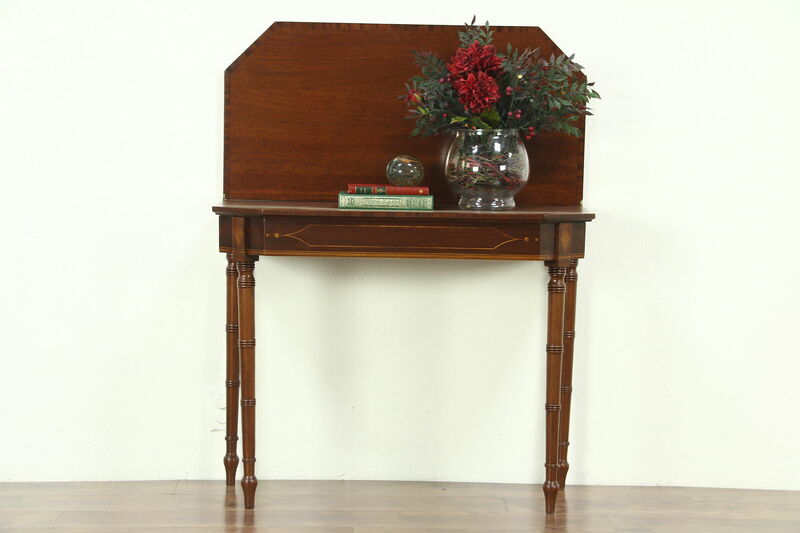 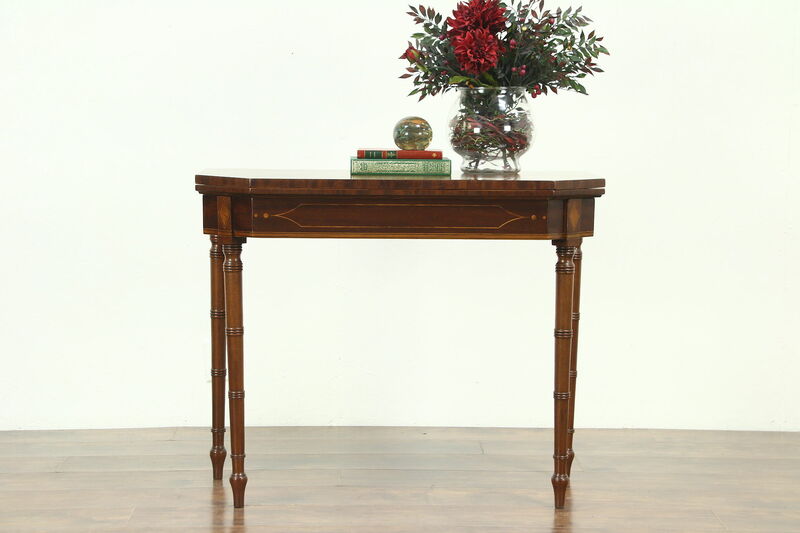 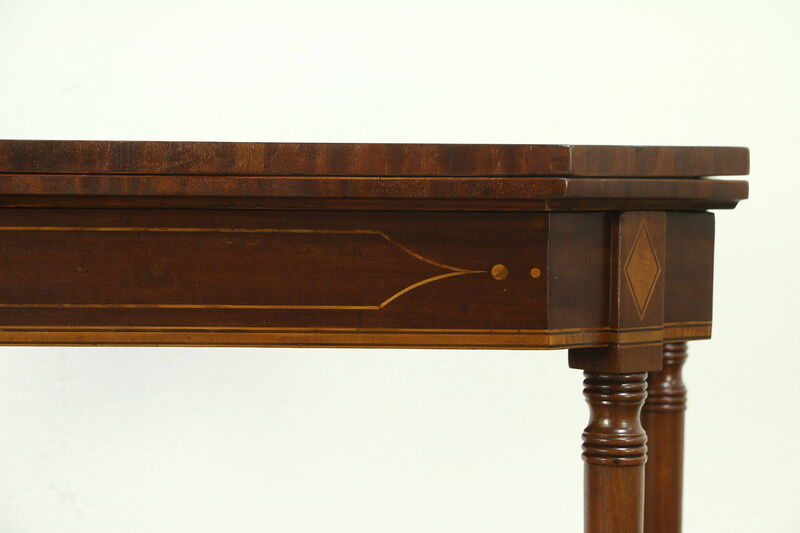 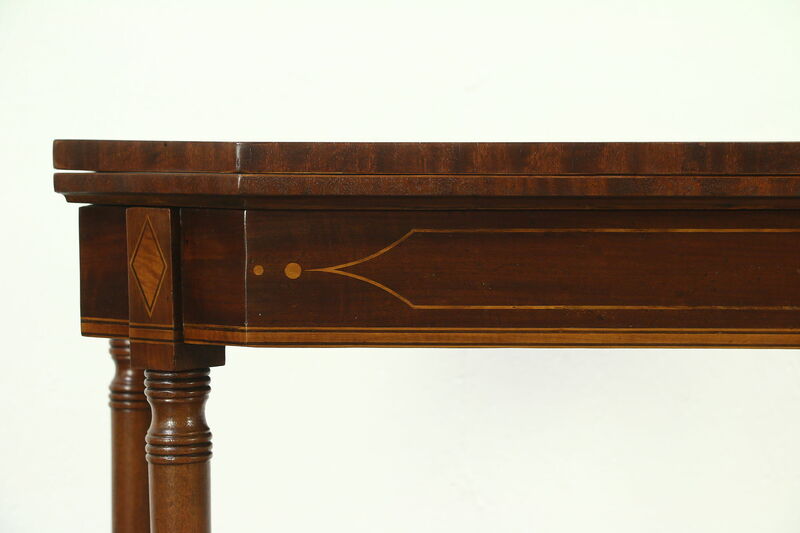 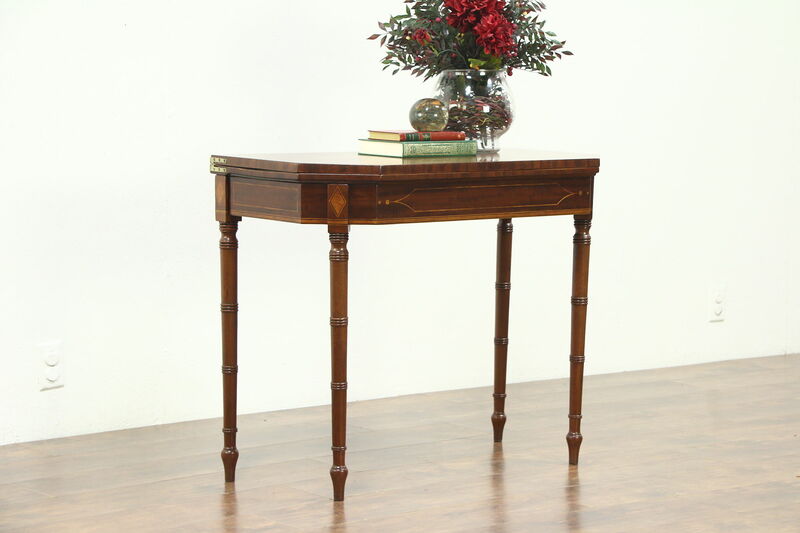 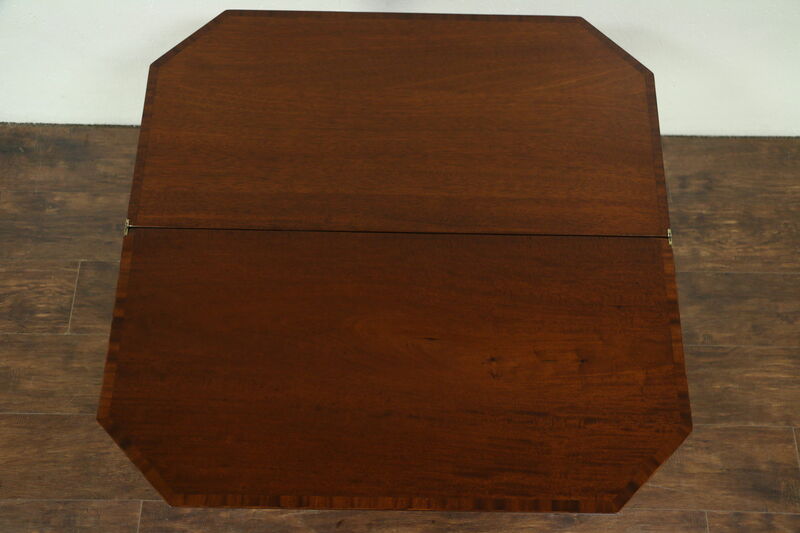 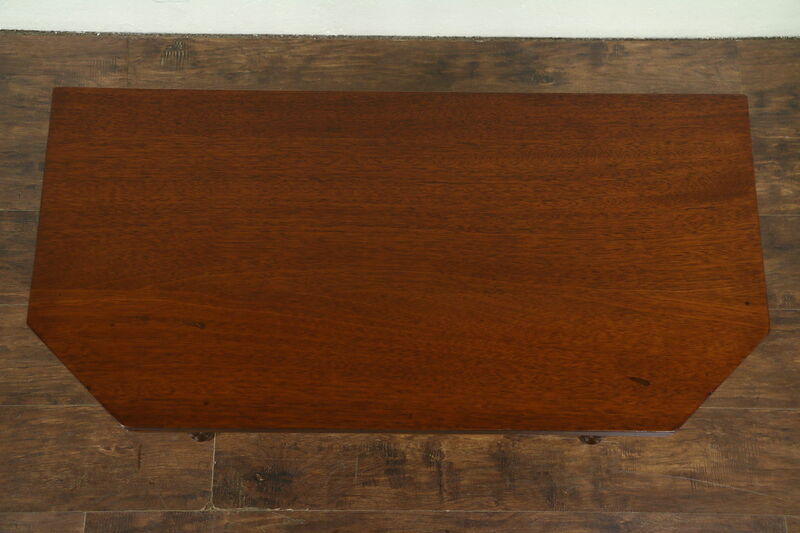 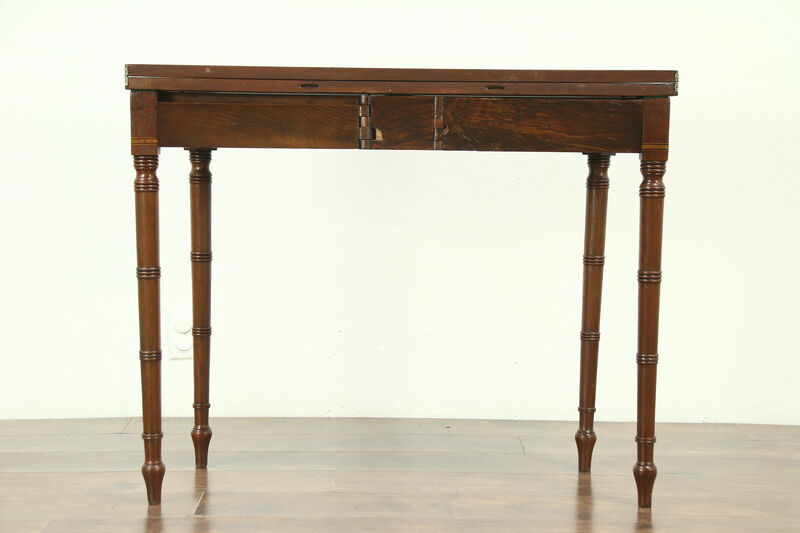 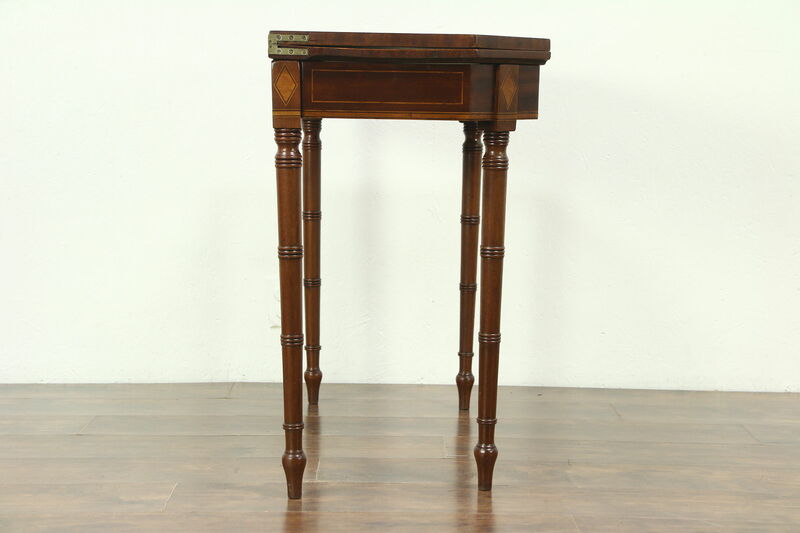 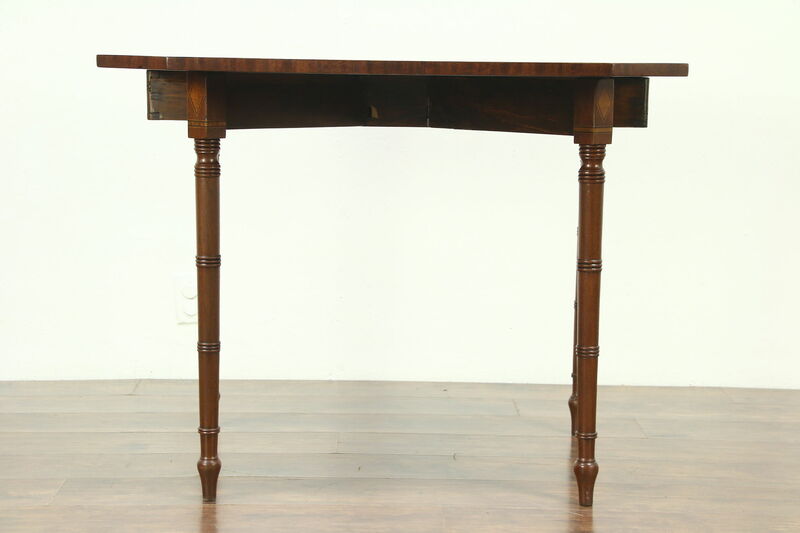 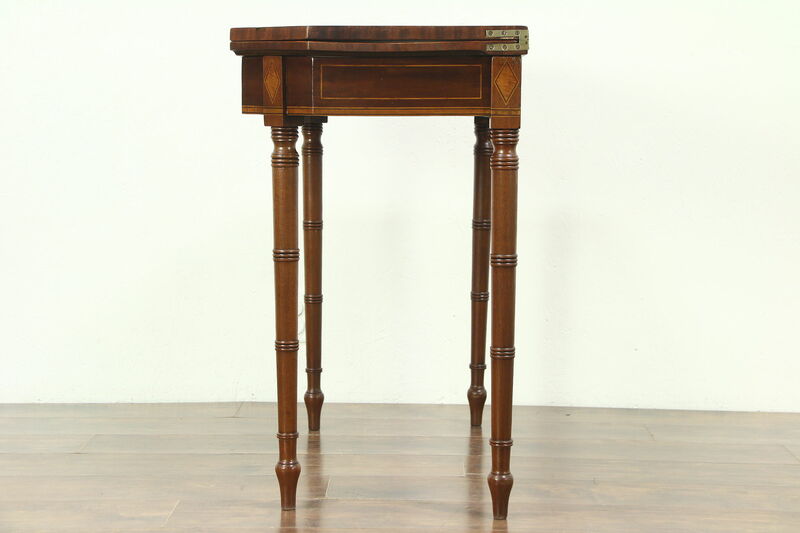 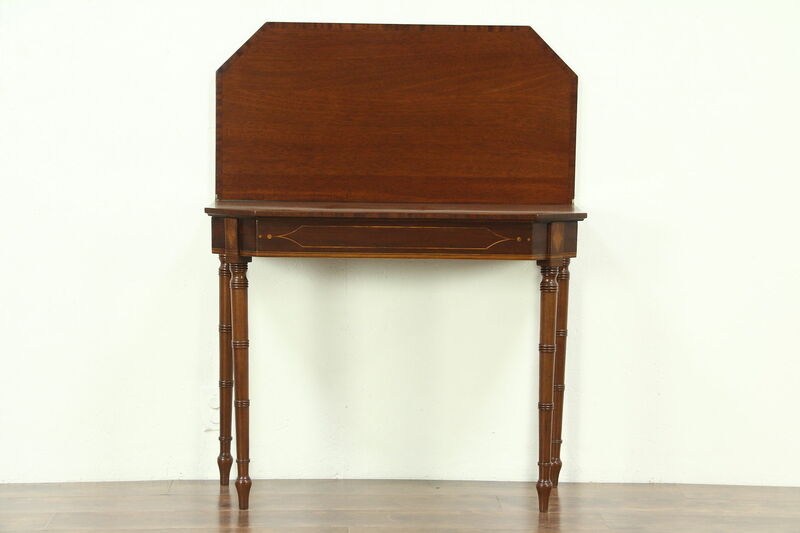 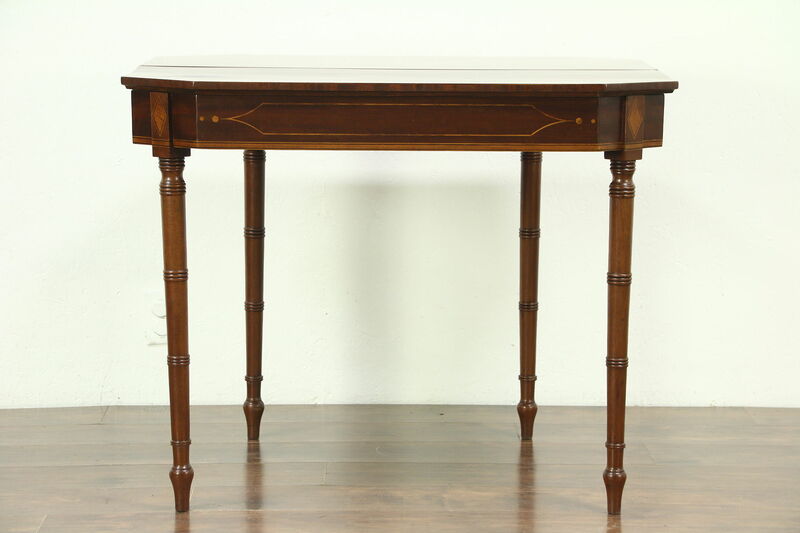 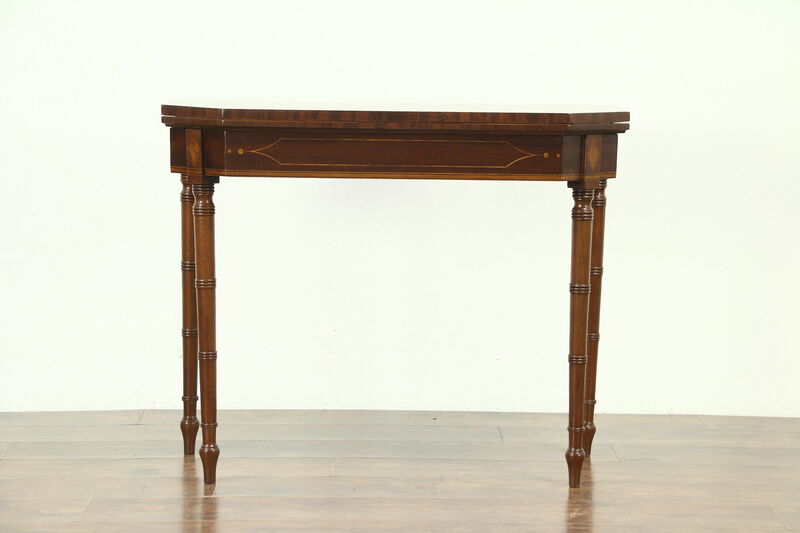 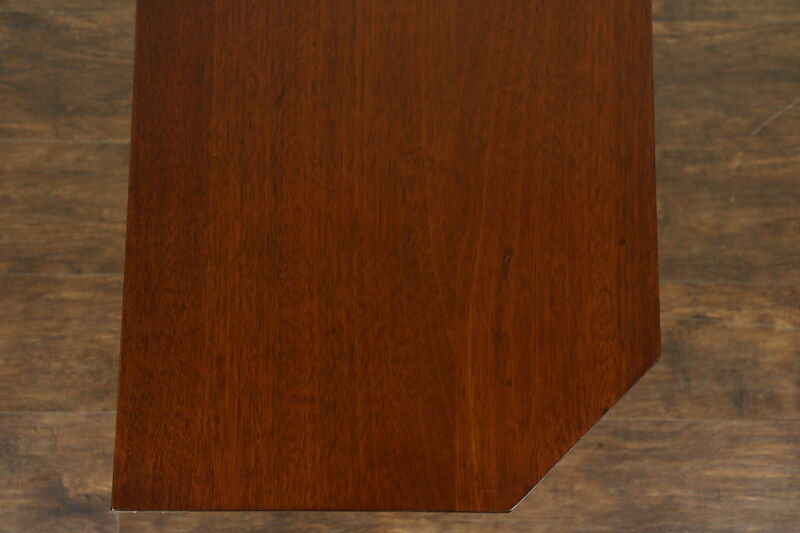 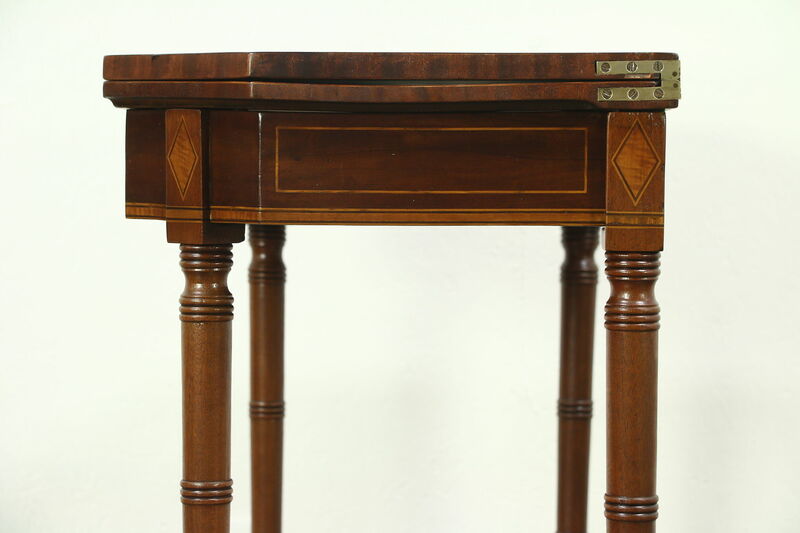 An elegant hall console table flips open to form a game table, and was hand crafted in England about 1910. 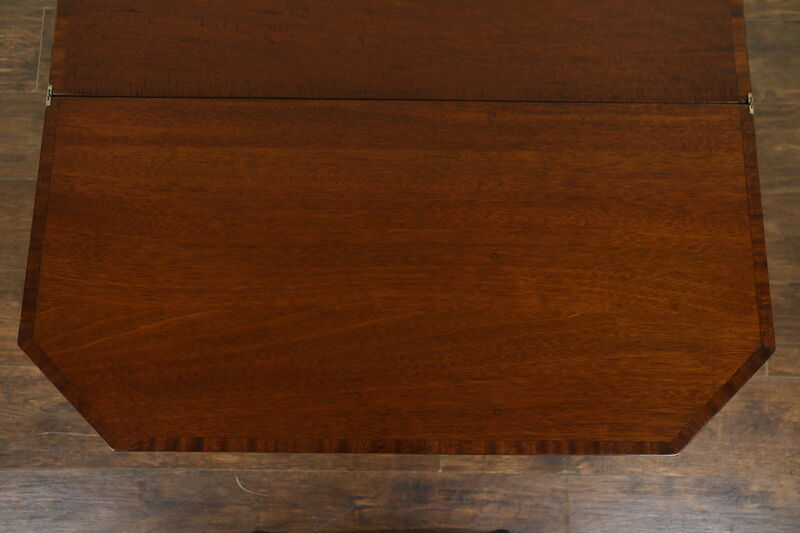 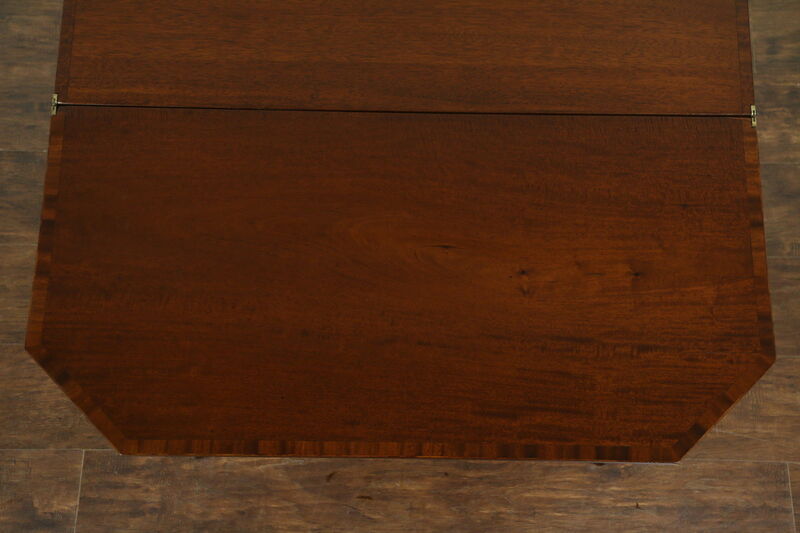 The restored finish is in excellent condition, preserving a few mars and restorations on the top. 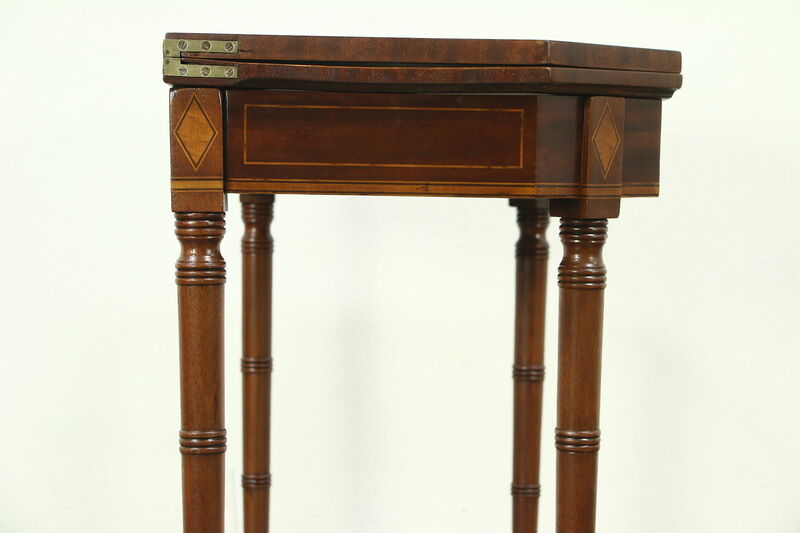 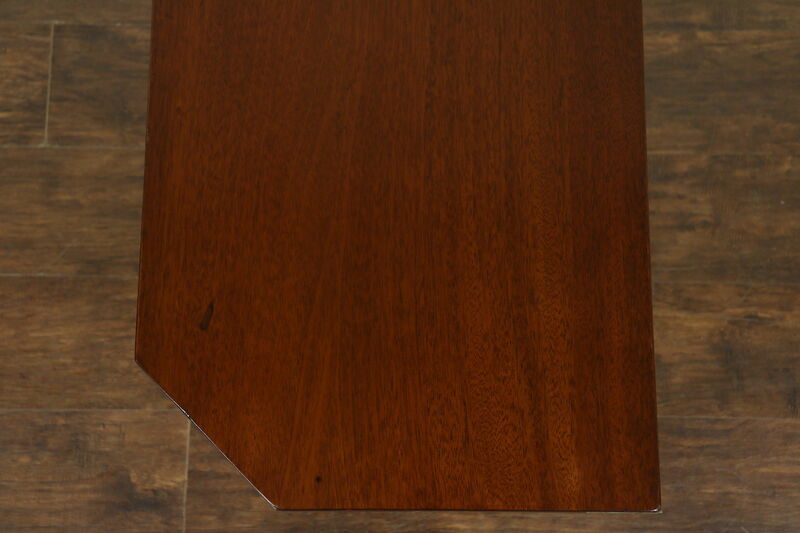 Shimmering mahogany is framed with inlaid banding and marquetry. 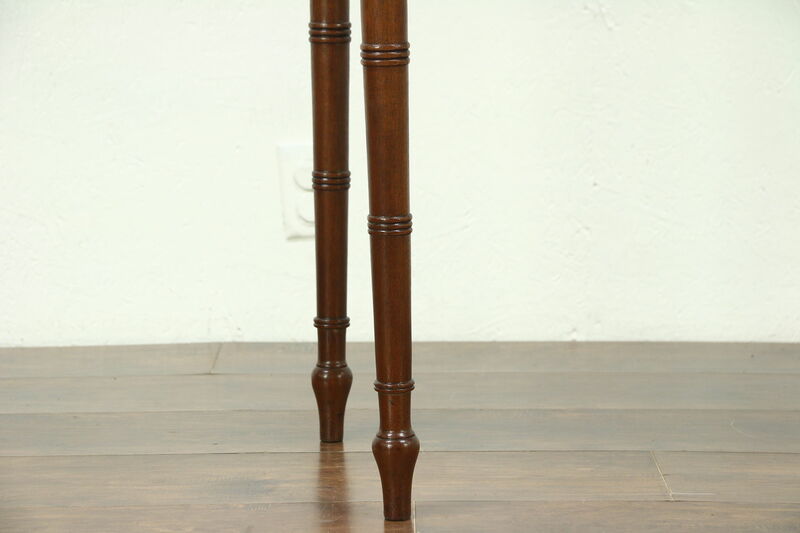 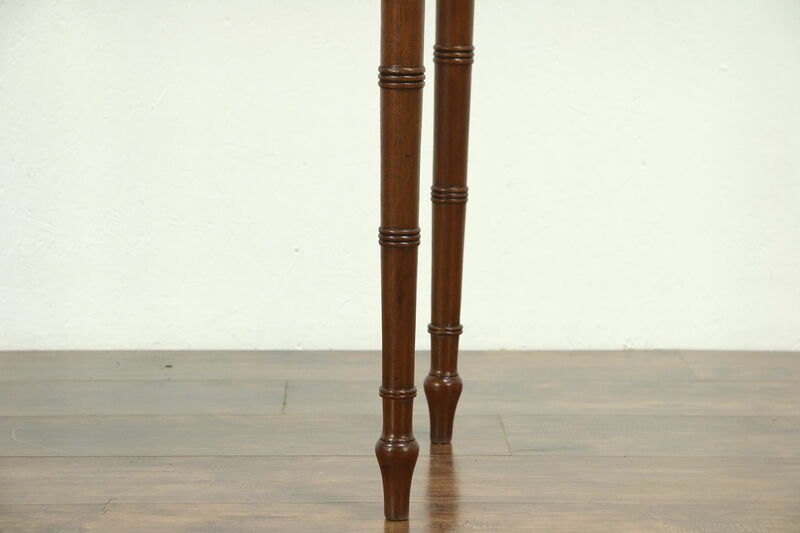 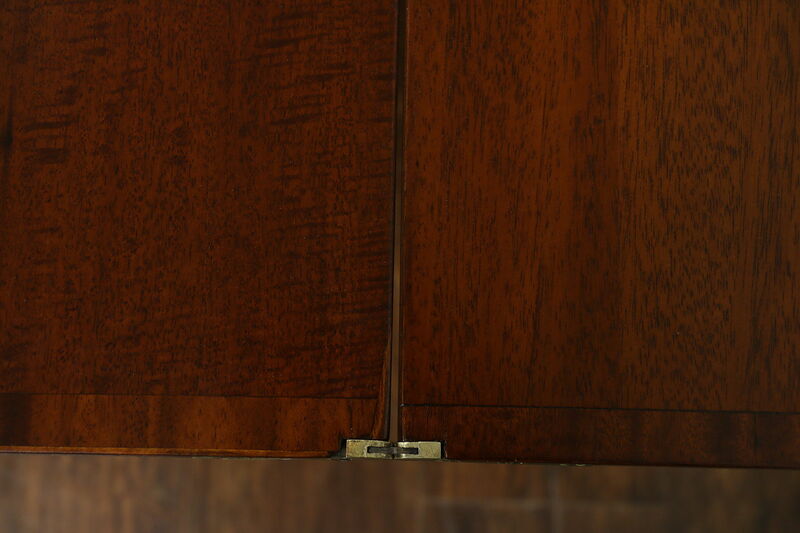 Two rear "gatelegs" swing out on carved wooden hinges to support the top when opened. 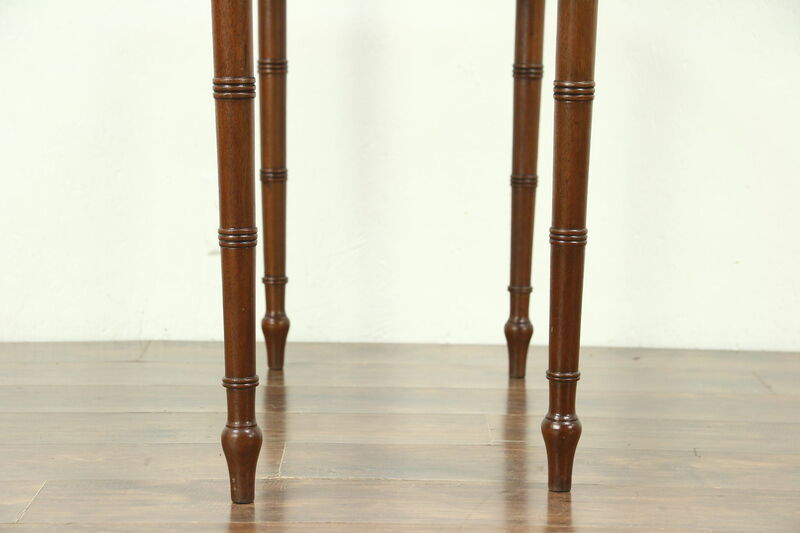 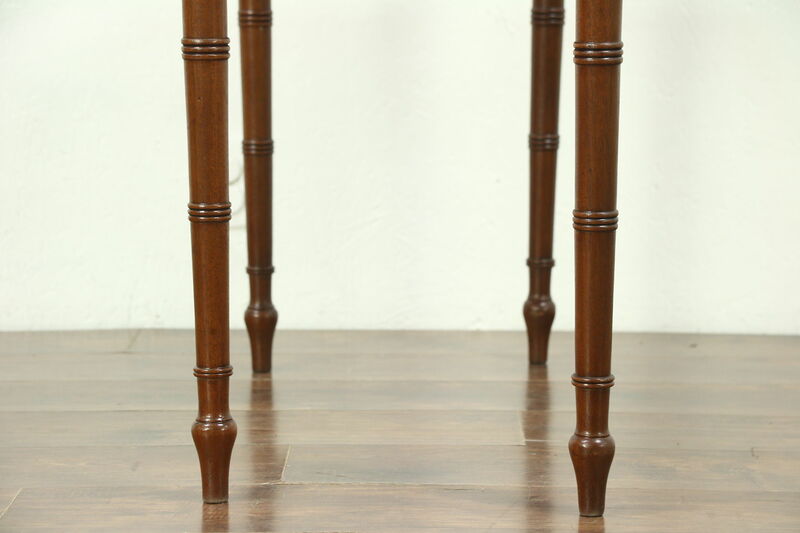 Size closed is 36" wide, 18" deep, 29" tall and legroom is 24" underneath, open size is 36" x 36."